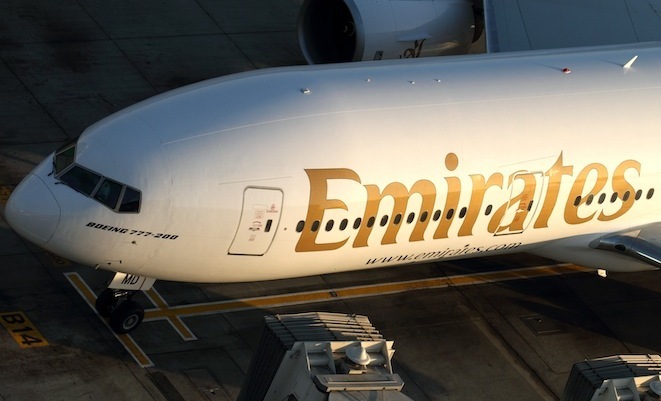 The Emirates Group has posted a US$ 845 million net profit, up 34 per cent from the previous year, from revenues of US$21.1 billion, an increase of 17 per cent. “Achieving our 25th consecutive year of profit with our largest ever increase in capacity across the network is an achievement that speaks to the strength of our brands and our leadership,” said Ahmed bin Saeed Al Maktoum, chairman and CEO of Emirates. The airline invested some US$3.8 billion in new aircraft, products, services and handling facilities during the year and saw the largest increase in capacity in the airline’s history, receiving a staggering 34 new aircraft, the highest number in any single year. The new deliveries supported the addition of 10 new destinations to the airline’s network. Despite the massive increase in capacity, Emirates’ average load factor remained at 80 per cent, a figure it has maintained in the face of a 44 per cent increase in available seat kilometres during the last three years. During the year the airline carried 16 per cent more passengers, to a total of 39.4 million. Meanwhile, the airline said its total operating costs increased by 16 per cent compared to a revenue increase of 17 per cent over last year, with fuel rising 15 per cent over the period. “Managing volatile exchange rates, coupled with a persistently high fuel bill accounting for 40 per cent of our total expenditures, has required continued strong resolve,” added Sheikh Ahmed. The consistently positive results have helped the airline raise more than US$7.8 billion in new funding mainly to secure ongoing fleet expansion. This has included US$587.5 million financing for additional A380s. Emirates has a further 198 aircraft on order worth more than US$71 billion.